Thoughts (and occasionally fuming) about the state of science, fiction, and science fiction. For years, one of my favorite genre news-and-reviews sites has been SF Signal. The latest news posted there is quite sad: they are ceasing operations (All Good Things…). To operate and sustain even a small blog -- and theirs is no small blog! -- is a commitment, so I understand their decision. I wish the principals, Messrs. DeNardo and Franz, well in their future endeavors. Gentlemen: you did our community a great service over the years. ANYway, on the upbeat side, it's great to see progress by the Museum of Science Fiction on their Escape Velocity project. (From the MOSF website: "Escape Velocity is a micro futuristic world’s fair to promote STEAM education within the context of science fiction using the fun of comic cons and fascination of science and engineering festivals. Escape Velocity seeks to make a measurable positive impact to boost informal learning on the more conceptually challenging academic areas.") Escape Velocity will be held July 1-3 at the Gaylord Resort in National Harbor (Maryland, just outside DC.) For the latest on the museum in general, and on Escape Velocity in particular, see MOSF's latest newsletter. 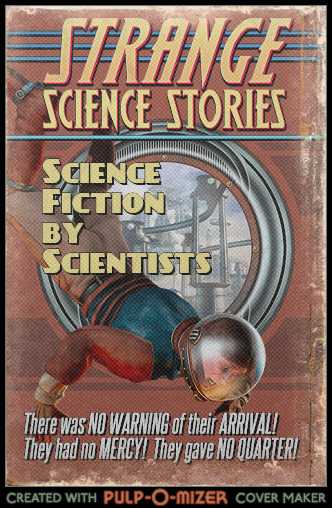 I'm pleased to announce that I'll be participating in the upcoming anthology, Science Fiction By Scientists. 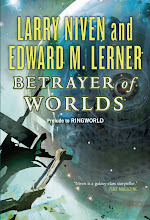 The editor is astronomer, SF author, Launchpad impresario, and my good friend Mike Brotherton. My contribution is the AI story "Turing de Force," which draws upon my background in computer science. Each story in the antho, mine included, comes with a related essay about the science behind the fiction. July 12, 2016 update: Recursive ... foiled again! The most recent post here (Looking up) reviewed some astronomy news within the Solar System. I deferred until this post a look at astronomy news from farther -- often much farther -- afield. When the Large Hadron Collider was first about to be turned on, some people fretted (needlessly, as I pointed out in "LHC and FUD") that its operation might produce black holes, or stranglets, or whatever, to devour the Earth. The gist of my counterargument (and that of others) was that there exist cosmic rays with higher energy than anything the LHC can produce. (The LHC collides particles with combined energies of a paltry few trillion electron volts, tera-eV. Cosmic rays sometimes have energies up to a quadrillion electron volts, peta-eV.) If billions of years of cosmic rays smacking into Earth's atmosphere hasn't done in the planet, nothing the LHC can do is going to hurt us. From the recent determination of the source of these ultra-high-powered charged particles -- the galactic core -- it seems likely that the super-massive black hole in that vicinity is involved. Without yet knowing the exact mechanism of cosmic-ray acceleration, it makes intuitive sense that something as powerful as a super-massive black hole is involved. 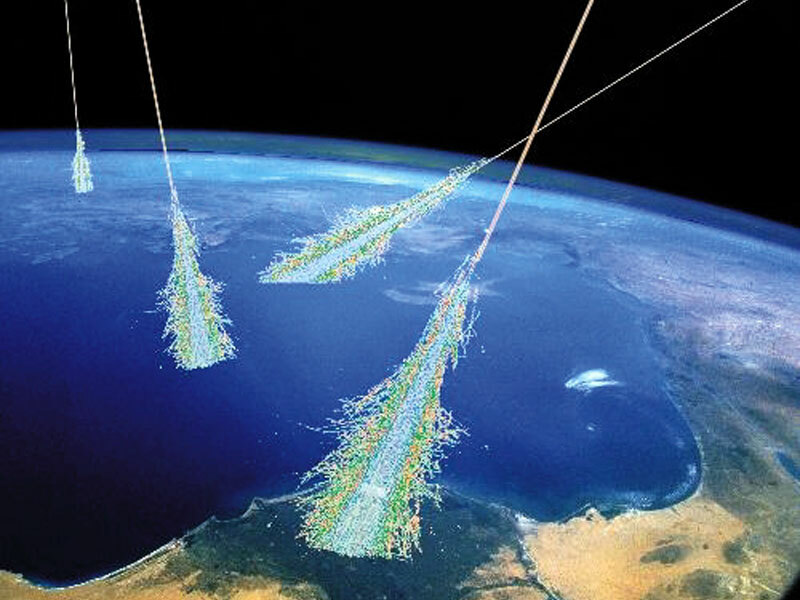 See "Astronomers find source of most powerful cosmic rays." The odds of becoming a lightning victim in the U.S. in any one year is 1 in 700,000. The odds of being struck in your lifetime is 1 in 3,000. Lightning strikes aren't a lottery, of course. During thunderstorms you can influence the odds by (for example) standing next to -- or better, not -- tall conductive objects. Meteorite strikes are something else. You can't avoid them (though maybe someone ought to be working on that) and they are far less likely than lightning strikes. Do meteorite deaths even happen (to anyone but dinosaurs)? Maybe. National Geographic reports your risk of being killed by a space rock at 1 in 75,000 or, in another study 1 in 700,000. See "Scientists investigate suspected meteorite death in southern India." 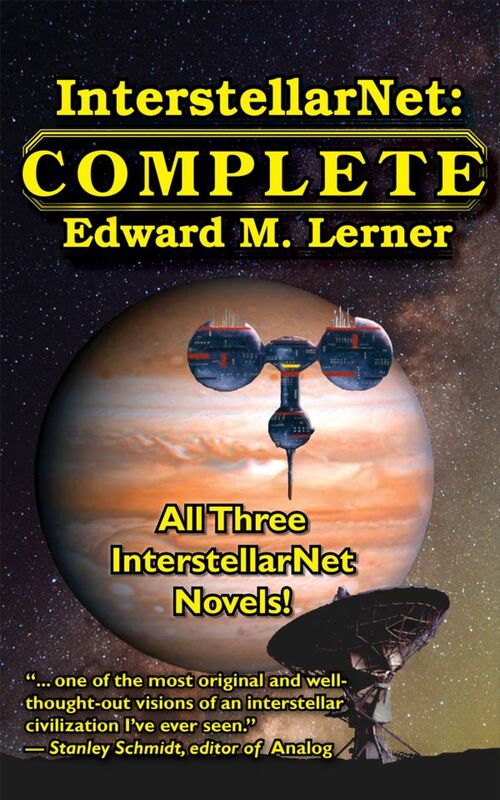 "I heartily recommend Ed Lerner's Dark Secret"
"One of the most original, believable, thoroughly thought-out, and utterly fascinating visions ever of what interstellar contact might really be like." "Combines sparkling wit and 'old school' hard sf with masterly storytelling and cosmic vision ... enjoy the return of good, old-fashioned sf, packed with ideas, philosophical musings, and plenty of space action." 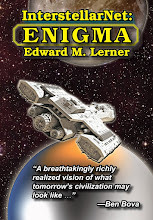 "A nice little foray into the paradoxes of time travel"
"... A fast-paced, hold-on-to-the-edge-of-your-seat thriller"
"If you only read one Hard SF book this year, make it this one. You won’t regret it." Follow (or better yet, Like:-) ) me on Facebook. I'm a physicist and computer scientist (and an MBA, of less relevance to most of these posts). After thirty years in industry, as everything from individual technical contributor to senior vice president, I now write full-time. Mostly I write science fiction and techno-thrillers, now and again throwing in a straight science or technology article.